Detroit Burns, Functionality QA Manager at Babel Montreal, will be giving a talk at Game Quality Forum in Santa Clara, North America, December 7th at 10am PST. 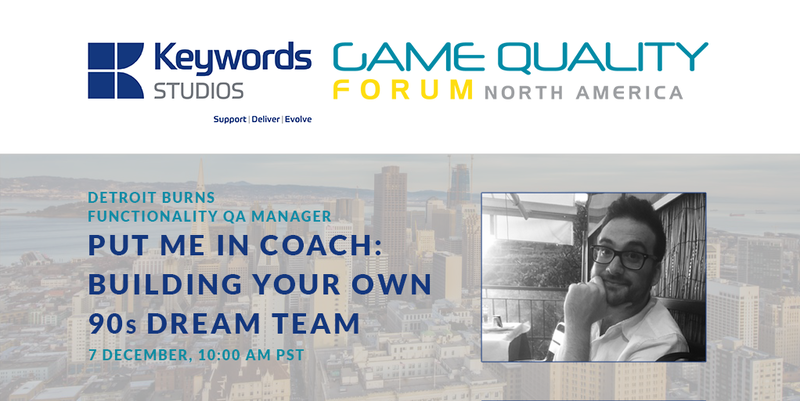 The talk will be a personal account of development within the Gaming QA industry as well as a guide on how to build your teams and group direction. Detroit will share first hand experiences on developing and utilising talents, mentoring high potential staff, motivating and building teams, and adapting and adopting talents from a multi-disciplinary staff of different ages, passions, and educational and cultural backgrounds. Detroit’s background in film and community organisation will also play a part in advising on how to build a collaborative and welcoming environment that encourages fun, growth and development of expertise. This talk will provide unique insights into QA Management and reassure those within the industry on some motivations behind their own team development. Expect subtle as well as overt references to 80s and 90s pop culture, basketball, as well as music and gaming trends.